Starting a new job tomorrow! 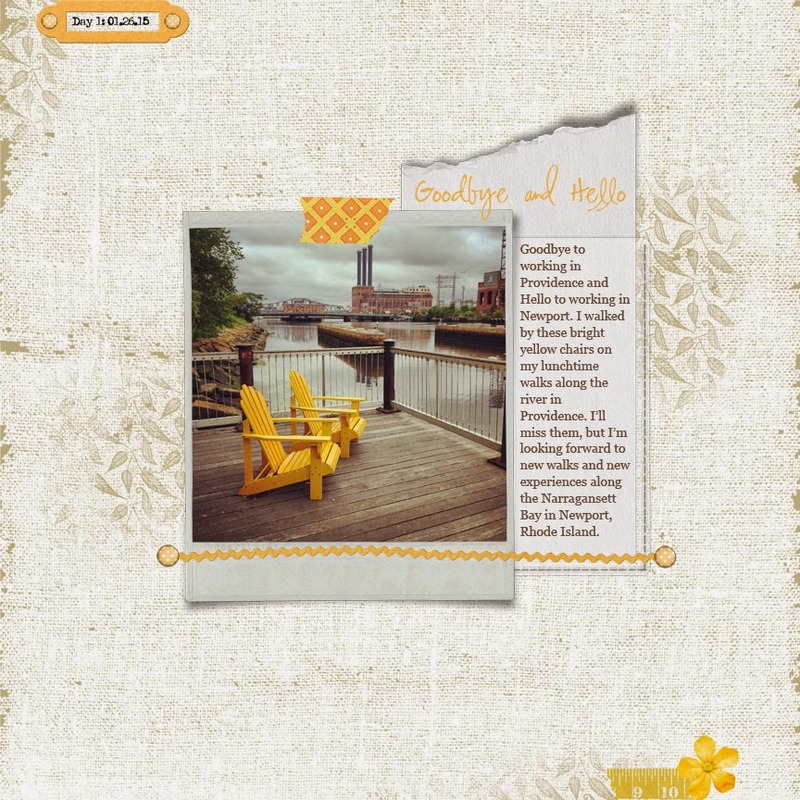 I made this scrapbook page yesterday and finished it today mostly because I wanted to enter it in a couple of scrapbooking challenges, but the photo I choose made me think about saying Goodbye to my old lunchtime walks along the river in Providence past these gorgeous bright yellow chairs -- and thinking about what I'll be saying Hello to on my lunchtime walks at my new job at the Naval War College Library in Newport. It's also fun to use lots of pops of bright yellow color on the day before we get a "historic blizzard"! It looks like I'll have my first day at my new job tomorrow, followed by a snow day!